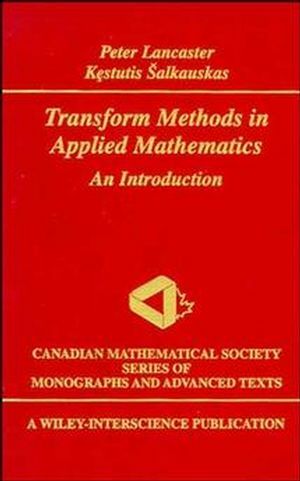 Transform theory and methods are useful to many professionals from various mathematical backgrounds. This introduction to the theory and practice of continuous and discrete transforms integrates knowledge from many branches of mathematics. It combines heuristic argument and discussion with careful, defensible mathematical statements, frequently in the form of theorems without proof. Peter Lancaster and Kestutis alkauskas are the authors of Transform Methods in Applied Mathematics: An Introduction, published by Wiley. Elementary Functions of a Complex Variable. Fourier Series and the Discrete Fourier Transformation. Complex Integrals and Power Series. The z-Transform and Discrete Filters. The Fourier Transform and Continuous Filters.